Welcome to April at Yoga Kula. This month we welcome some new immersive experiences, see the return of some popular favourites, as well as saying hello to exciting guest teachers and more. Join Senior Yoga Teacher Angela Sykes and Yogic Scholar and Meditation Teacher Zeenat Cameron for an evening of Puja, ritual flow, mantra, massage, music, aroma, meditation and refreshments. Angela will lead a warming, nourishing and inspiring flow around the power and wisdom of Shiva in his dancing or ‘nataraja’ form. The session will be layered with mantra, mudra, music, hands on adjusts/massage and end with a deep relaxation set to healing mantra. After our flow Zeenat leads us in a puja and meditation dedicated to Shiva. Often shown seated in deep meditation, Shiva is the divine yogi, the Hindu God who personifies awareness and wisdom. He is stillness, spaciousness and freedom, and the heart of our own enlightened nature. After the session students will enjoy home-made cacao latte and cacao balls while relaxing in our cosy reception (if you cannot stay there will be take out options too!). In plant medicine cultures cacao is used as a heart opener and a way of connecting with ourselves and others. Join Roisin Kiernan to explore the ancient Indian Mantras. Mantra literally means mind distraction, so it supports an easy meditative state and uplifts through sound. There’s so much more to this spiritual technology too. Using simple yet profound mantras with live music we’ll create joy inside and out. We all have 84 reflex points on the roof of our mouths, like keys to a piano. Plus 74,000 energy channels or ‘nadis’ that run from our navel – like strings on a harp. 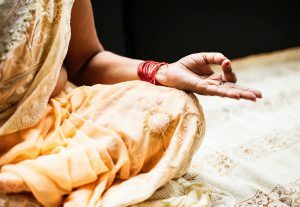 When you chant or sing each mantra, they are resonantly designed to play these keys and strings to send signals to your Hypothalamus – the regulatory gland in the brain – which then releases natural feel good medicines. The throat chakra is also connected to our second, sacral chakra. We create our lives through communication. So, by connecting with the divine through mantra – by coming into harmony together through devotion – we start to create that sense of peace in our bodies and can then choose to take that feeling to everyone we meet. This is the union of Bhakti and Shakti – Bhakti being devotional singing (connecting with Shiva; the masculine omnipresence that supports us) and Shakti being creativity or movement; what we bring/birth in the world (the feminine principle). A blissful two hour immersion into crystal, colour & sound frequencies with Natalie Seager. 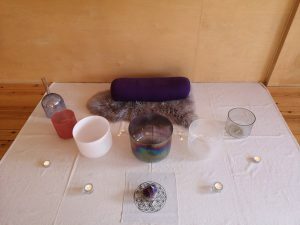 A truly unique sound bath experience with Crystal Tones™ Alchemy singing bowls. These are unique blends of quartz, gemstones, metals and minerals (such as amethyst, rose quartz, lapis lazuli, gold, platinum, frankincense and Himalayan salt). Created with intention for healing they assist in grounding, integration, release, alignment and expansion on all levels. Experience deep relaxation, inner alchemy and healing whilst being held within blissful ethereal soundscapes. The ‘Moon Sequence’ was created by advanced yoga practitioner Matthew Sweeney as a way to balance the fiery nature of Ashtanga yoga, and to restore the body on moon days when our energies need support. Join Senior Yoga Teacher Julia Knight for a nourishing yet dynamic set sequence, working closely with gravity and the Earth’s energy with a strong focus on hips and shoulder tension release, flowing with the breath. 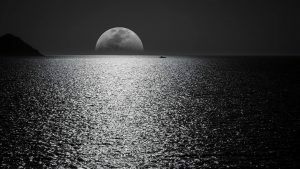 After our Moon sequence we will settle into a long, relaxing Savasana before taking time to deepen the connection to our source with cooling Pranyama and a guided Moon Meditation. On this Spring full moon we increase awareness of our changing mind and body conditions whilst regulating the nervous system. 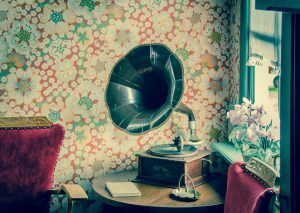 Bring yourself back to the present after this deeply relaxing session with some lovely tea and cake. We will begin by awakening your cells and connect you to your energy through Kundalini Shaking, chanting and a Kundalini Mantra Meditation. You’ll then be invited to bring this awareness to the hour-long Gong Bath relaxation. The gong is a healing tool for the body and mind with a particular benefit to the nervous system. In modern life our nervous systems can become frazzled and need to be ‘retuned’ – the gong bath can support this retuning. The gong also stimulates the glandular system to a higher level of functioning, flushing out blockages along with toxins and clearing and rebalancing the chakras (energy centres) of the body. This insightful workshop led by experienced post-natal teacher Sian Grayson is fully focussed on caring for you as a mother at any stage of your postnatal journey. We open with a relaxing flow designed to help you unwind and fully enjoy your time away from the little ones, working on calming the mind and unwinding any held tension in the body. Once relaxed and fully arrived we take opportunity to chat informally and look in more detail at anatomy, core strength and essential pelvic floor health. These insights will add an extra layer in how you move within your yoga practice and also in your day to day life. As part of your self-care and healing routine, Sian show you how to check for Diastasis Recti and how to find a neutral alignment in your body and the benefits of this. We then enjoy a more dynamic/deeper yoga flow incorporating all of the insights and encouraging a ‘whole body’ approach to pelvic floor health in graceful, fluid movements. 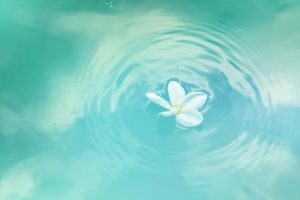 The session ends with a guided relaxation to deeply rest and process any insights and energy gathered from the session. Participants will receive supporting materials so that you can recreate the flow we learned in the session and ensure you are looking after your core and pelvic floor daily as part of your own personal self-care routine. 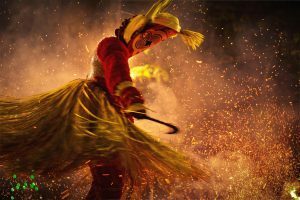 Join the captivating Susi Wick for this dynamic and rewarding workshop.